Let's be honest. Even at a time when the very concept of beer styles is being challenged more than ever before – when battles can be fought around the parameters of session IPA or XPA, for example – you'd have one heck of a fight on your hands convincing someone "session sours" was a valid category. Yet, with every man, woman, their dogs and, in some cases, cats and praying mantises, putting out some form of Berliner weisse, gose, mixed ferment, hoppy or fruity sour in recent months, it seemed only right that we should put such formal concerns to one side for our first blind tasting of 2018. If you needed evidence that it was a worthy undertaking, know this: when we cast the net across the country to create a long list of all Australian brewed and packaged (can or bottle) beers that could fit into this broad church, we came up with more than 40. And, when we had a no show plus a late realisation that two that had been nominated for the long list were outside the ABV range we'd set (5 percent and lower), we were able to find ready made replacements released just last week to get us back up to the 20 we planned to sample. As such, we had a list populated with well known beers and some that no one in the room would have tasted before. 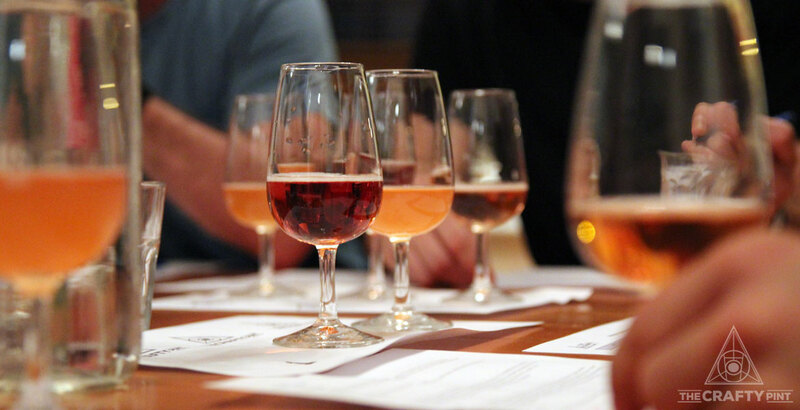 The judging and sourcing of beers followed the usual methods – outlined here. As in the past, we attempted to buy as many of the beers from retail as possible in order to reflect the experience of our readers. This wasn't always possible but below you'll see where beers were sourced from and their packaged on or best before dates where possible. The very nature of the beers being sampled meant this was a more involved and, indeed, lengthy process than previous tastings. The lineup included some pretty straightforward Berliner weisse and gose, plus beers tagged hoppy sours, some loaded to the eyeballs with fruit or other adjuncts and a couple of "wild cards". One could argue that the last of these – Wildflower's Gold and Two Metre Tall's Cleansing Ale – should have been excluded but, while they don't quite stand in categories of one, there's not enough beers of their ilk to ever feature them in one of these tastings without including them in something like this. After all, sourness is one of the beers' qualities, they're 5 percent ABV or less and they are from two of the most talked about Aussie brewing companies operating in this sphere so why not shoehorn them in? So, whereas with, say American pale ales, we can set the panel of judges going and keep bringing out flights of three beers at a time without further comment, here there was a need to offer additional guidance: these three are all described as hoppy sours, these three are all fruit Berliner weisse, this beer is spent time in oak, this one features a mixed culture and so on. It meant that, in one or two cases, some of the judges may have been able to deduce the beer they were tasting. But, with a panel made up of brewery owners, experienced reps, Certified Cicerones, brewers and one of our writers, we could trust them to assess honestly. That said, with such diversity in the lineup – and, indeed, so much going on in some of the beers – there was also a need for more discussion between flights than ever before and, in some cases, some pretty strong differences of opinion. To put it in context, when we assessed 27 New World pale ales late last year, the judging was wrapped up by 9.30pm. This time around, seven fewer beers were presented yet the results weren't revealed until 11pm. 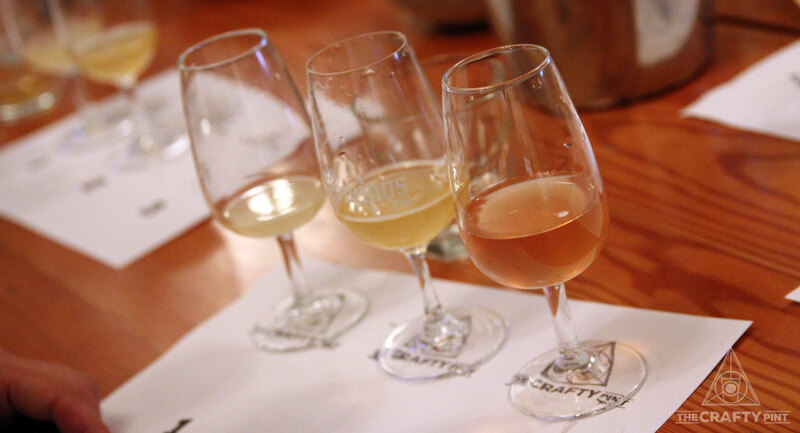 The lengthy debate over some of the beers perhaps reflects the relative infancy of sour beer styles within Australia too. 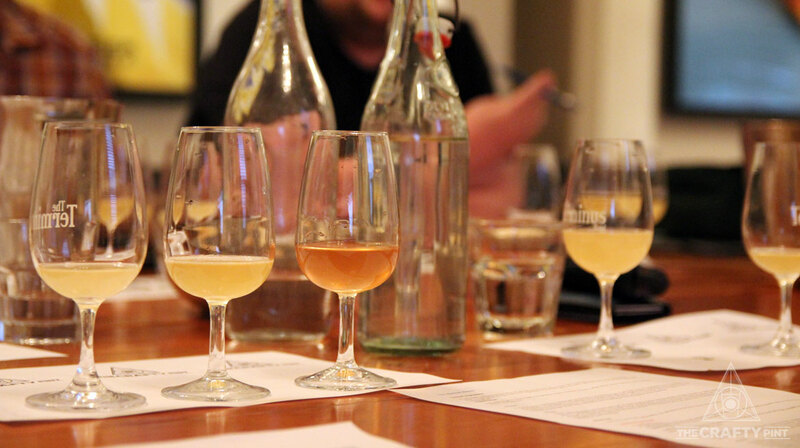 We based judging around a number of BJCP style guidelines – Berliner Weisse, Gose and Fruit and Spiced Beers with occasional reference to American Wild Beers – but even within such guidelines there's room for interpretation. What's more, comments from judges along the lines of: "Even with the beers I like, there's often something not quite right too" could be indicative of brewers still coming to terms with new techniques and ingredients. It's no secret we love the reveal at Crafty Towers, unveiling the beers from last to first to the panel. And this was one of our favourite reveals to date. While few will be surprised at many of the breweries that appear at the top, there are three beers in the top ten few of our readers will have come across. We first enjoyed Sooky La La when it was new to the taps at Social Bandit while visiting the Mansfield brewery for the High Country Brewery Trail collab brew late last year. Brewer Jeff Whyte was in the process of agreeing upon label design at the time and, after winning one of the lucky dip spots in the tasting and now a top five spot, we imagine there will be a few people hunting down what was one of the most aggressively sour beers among the 20 but came with enough complementary flavours to impress the majority at the table. Then there's the Barossa Valley's Ministry Of Beer at number eight. 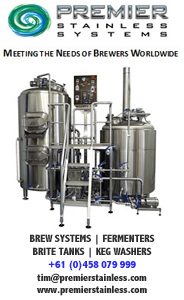 Given Brett Reimann operates on a 200 litre brewhouse, we doubt too many will have tried his beers before either. But the story of the day is clearly the beer at number one. We initially approached Ben Simmons, the young brewer at the helm at the Clifton Hill Brewpub, for a Brew & A interview more than a year ago after being impressed both with the quality of the dozens of beers he was putting on tap and his brewing knowledge and desire to learn more. For one reason or another, it slipped through the net until last week when, noticing that he and fellow brewer Michael Leslie had beers such as a Raspberry Gose and Brett Saison on their release schedule, we figured we really should let readers know what was going on at the former Irish pub. Look out for that article soon. The Raspberry Gose wasn't out when we started the selection process for this tasting but, with a couple of last minute slots to fill and having missed an email from the brewpub manager when compiling the long list for New World pales, we decided to redress the balance. We're glad we did as not only did it take top spot, it did so comfortably and was the top scoring beer for three of the judges. The downside? Just over 100 bottles were produced (although we suspect they may revisit it...). 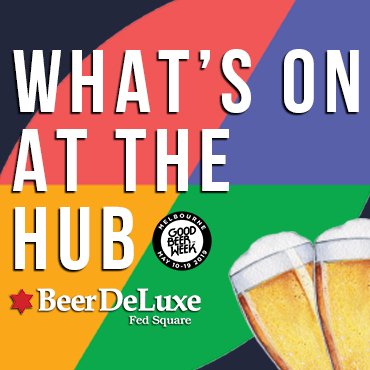 Other beers on the lineup, in alphabetical order, were: Bacchus Atomic Pina Colada (from brewery's online store – packaged 05/01/2018); Colonial South West Sour* (from brewery – BB date incomplete); Green Beacon 7 Bells (Wine Republic – no date); Holgate Brewhouse Hop Tart (McCoppins Abbotsford – BB 22/06/2018); Hop Nation The Punch (Carwyn Cellars – Packaged 12/01/2018); Mornington Peninsula Brewery Brain Squeeze (from brewery – just released batch); Sailors Grave Down She Gose (Carwyn Cellars – no date); Tuesday Night Brewing Raspberry Berliner Weisse (Carwyn Cellars – no date); Two Metre Tall Cleansing Ale (Carwyn Cellars – Packaged 01/02/2015); Wayward Sourpuss (from brewery – Packaged 21/12/2017). * These beers were included at the last minute after couriers failed to get Cheeky Monkey's Frosty Fruit Sour to us in time (so Colonial ensured we had a ready made WA replacement) and we realised two were outside spec. Back in the early days of these tastings, we used to include some of the funnier comments from panelists at the end of these articles. As they've become more involved, there's been little time to take down notes over the evening but we did enjoy some of the judges' tasting notes so thought we'd include a few descriptors below, particularly as a few would make great album titles. It's worth adding that some of those that might seem negative were associated with beers the judge in question quite enjoyed! Thanks to the seven judges and our stewarding assistant for giving up a Friday evening and to the Terminus for giving us their upstairs room again. Look out for details of the public version of this coming soon too.